Over the years, the Middle-East has defied all odds to sustain its hospitality industry. Most of the hotels in the Middle-East countries demand the passport for the guest check-in process. The earlier process was to manually input the passport details into a database from a physical passport or creating a copy of the same by a photocopier. The earlier process was extremely impractical because it was time-consuming and delayed the guest check-in process. 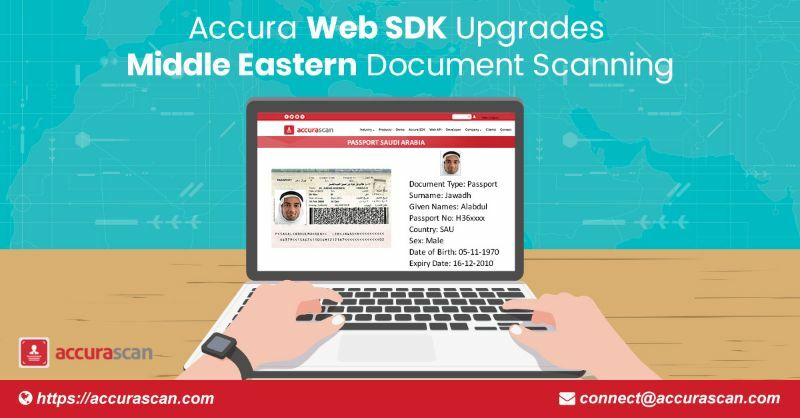 However, now the availability of Accura Web SDK has upgraded the Middle-Eastern document scanning. The up-gradation is mainly because of the reason that Accura Web SDK offered by the developers of the Accurascan app enables accurate text extraction from Middle-Eastern documents by leveraging the power of OCR technology. This, in turn, eliminates the need of manual input of passport details and pave the way for the faster guest check-in process. Also, the Accura web SDK facilitates hotels to have a scanning solution which is not restricted to passport scanning of a few selected Middle-Eastern countries. Instead, the SDK supports documents of several countries located in the Middle-East. It is true that having a handheld scanner is best for fast scanning of documents in hotels or just to have a digital copy of the ID cards and passports on a mobile device. However, nothing beats the convenience of having a web-based scanning solution for hotels, especially when they have always a dedicated desk space for handling loads of documents. Developed by Accura Technolabs, Accurascan app as a document scanner is a pro in the accurate text extraction from the machine-readable zone of several documents but Accura Web SDK offers better flexibility and convenience to front desk officials. They can now just capture an image of the middle-eastern documents with their smartphone camera and upload it into their system to enjoy an instant image to text conversion which is searchable and editable. Since, most of the middle-eastern hotels are swanky with consistent web connectivity, having an online document scanner means no more delays in guest registration or check-in and easy storage of the scanned data in a database for quick identification of loyal guests. Moreover, anyone can have a glimpse of the scanning capabilities that are facilitated by the Accura Web SDK for free by using a developer dashboard. To know more, visit https://accurascan.com/region/middle-east.